Sharing work of artists I admire. Alphonse Mucha (1860-1939) has long been one of my all-time favourite artists. His paintings are captivating and after seeing them live at an exhibition, prints don’t do him any justice at all. I love his attention to detail, enchanting figures and elaborate decoration. His style is very organic and has no doubt influenced mine over the years. 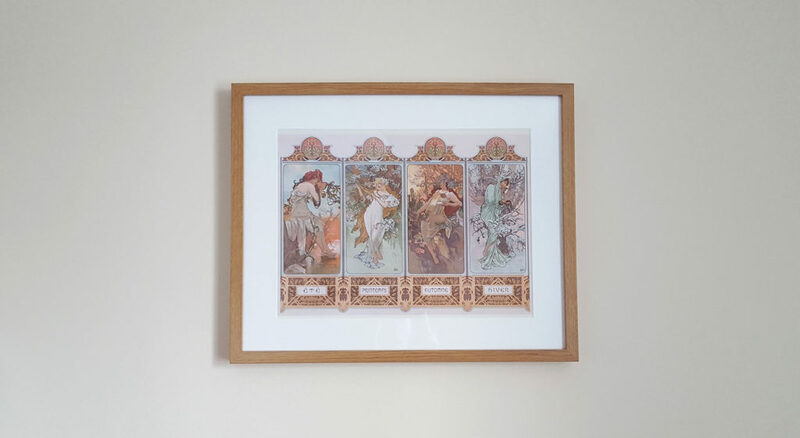 Framed print of ‘The Seasons’ (1896). I bought this after seeing the exhibition, along with ‘Moon and Stars’. Mucha is most known for his Art Nouveau work and very much lead that era of art during the 19th century. In 1894, he was given the opportunity to create a theatre poster for France’s most celebrated actress, Sarah Bernhardt, after a chance encounter at a print shop. His advert for Gismonda was completed within two weeks and gained much attention across the city. 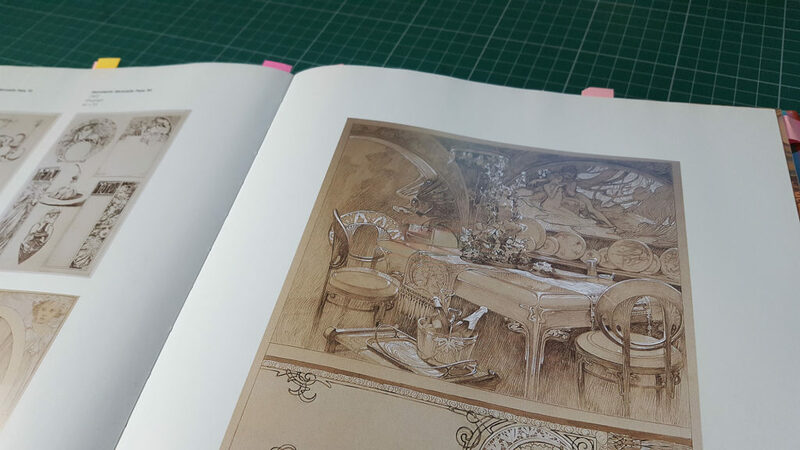 So much so, Bernhardt commissioned him for further illustrations over the course of 6 years. He continued to paint posters and design jewellery, furniture, sculptures and whole rooms dedicated to the Art Nouveau style. His redesign for Georges Fouquet’s Chic 6 Rue Royale Jewellery Shop can be seen at the replica in Musée Carnavalet. This piece, ‘Ballerina’, is on display at the studio. Something I’m working on atm (‘Magnolia Portrait’), after being inspired by Mucha’s work during the exhibition. I sketch suuuuper lightly when starting out, so sorry if you can’t see it clearly yet! 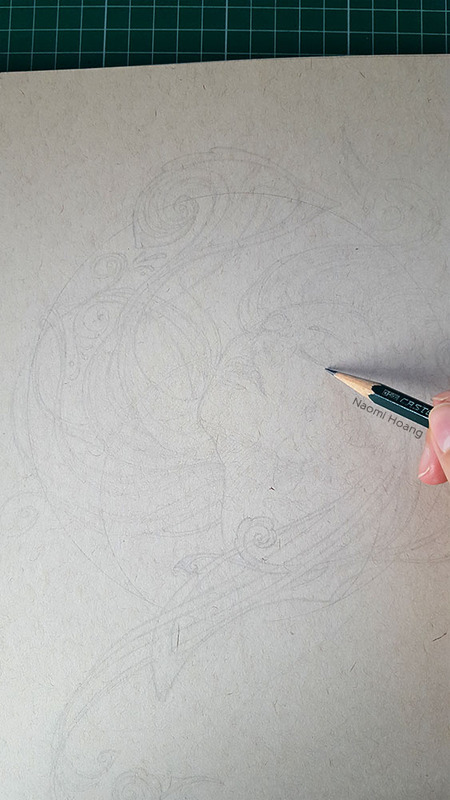 Although my personal and tattoo work isn’t as elaborate as Mucha’s, I do enjoy adding flowing shapes to create movement within the image. They tend to start with a vague idea of a subject, roughly map out the core shapes, then develop slowly and organically as I ‘find’ the lines I’m after. It’s normally a long and quiet process where I prefer not to be interrupted, as my trail of thought will be lost. That’s all from me. Thanks for reading and ciao for now!